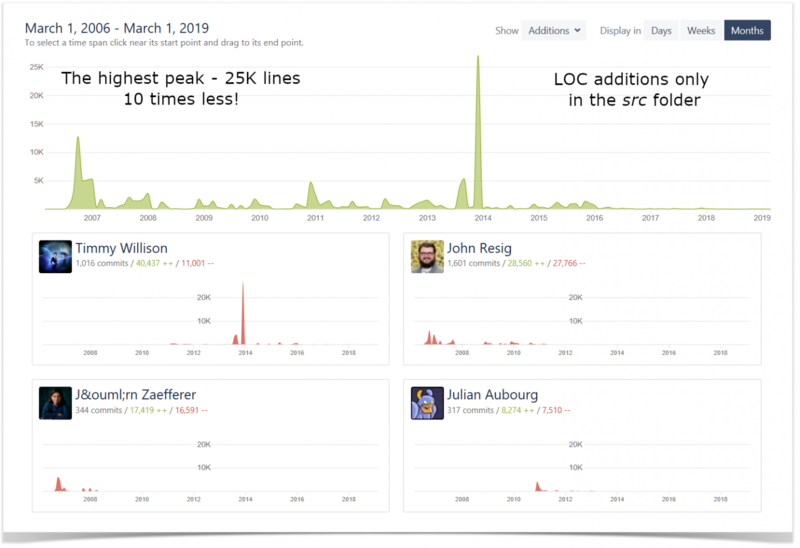 Awesome Graphs for Bitbucket Server is an app visualizing statistics of Git repositories in terms of commits, pull requests, and lines of code. The Contributors graph, and the Code Frequency graph show how many lines of code were added and deleted in the repository in general and by each developer. Sometimes lines of code statistics doesn’t correctly represent the actual work of developers in the repository. 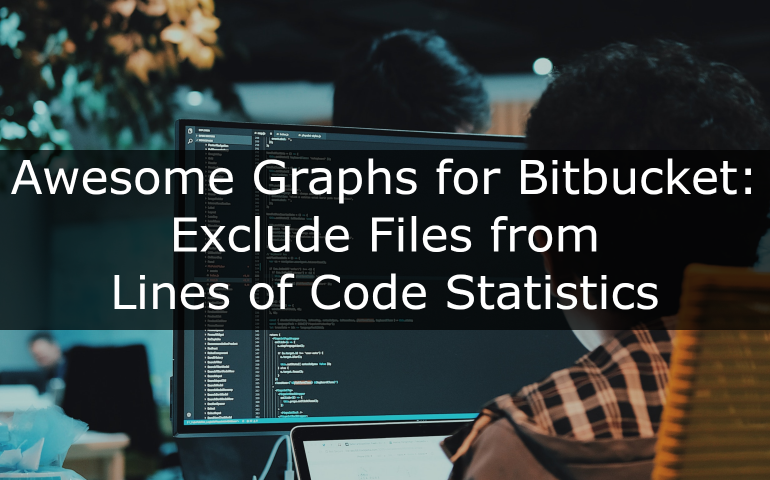 To solve this problem in Awesome Graphs 4.5.0 we implemented the new feature – exclusion of files from lines of code (LOC) statistics. 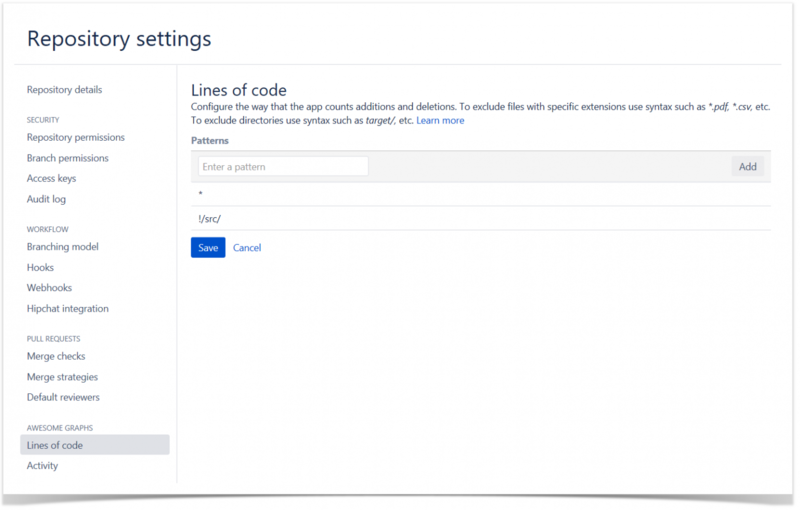 Exclusion of files allows you to make lines of code statistics more precise and informative. Include source code from third-party libraries, and don’t want to count it towards individual code contributions. Want automated code generated files not to be included into LOC statistics. Version a lot of configuration in very large xml files, and don’t want to count their updates as additions of thousands of LOC. Want to include in LOC statistics only files with selected extensions (i.e. c, cpp, h). Want to count in LOC statistics only files from the selected directory (i.e. src). Repository administrators can add patterns in a gitignore format telling what files have to be excluded from LOC statistics of a repository. 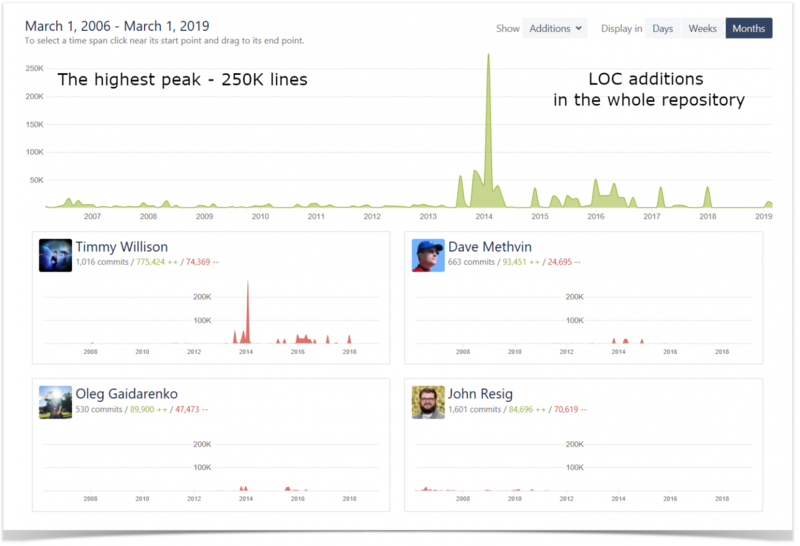 When an administrator adds or modifies patterns, Awesome Graphs re-indexes the repository and displays graphs with new LOC statistics. 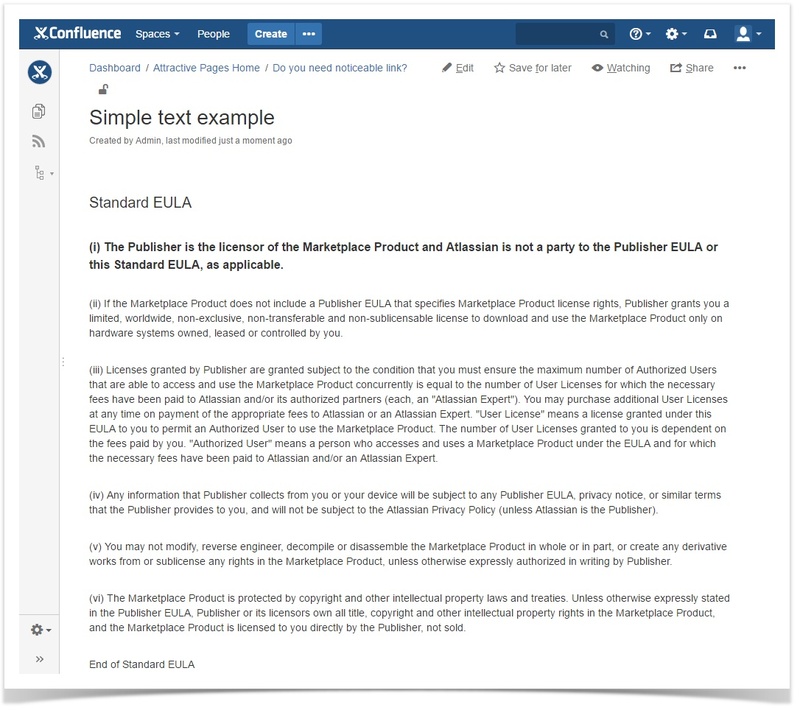 You can see examples of this feature usage in public repositories. Let’s view the Contributors graph for the jquery repository. It shows additions of LOC in the whole repository. The repository exists since 2006, but according to the graph there was no significant activity there till 2014. It would be great to make the graph more informative and calculate LOC statistics only for the directory containing the main source code – src. We exclude from statistics all files except files from this directory and get a new graph showing the most important activity happened in the key folder of the repository. There was intensive activity in 2006-2008, 2011, and 2014. There was no significant activity after 2016. Only two of top four contributors to the repository are also in the top four contributors to main source code. In the first graph there were peaks of activity showing additions of 50K and even 250K lines of code per week. In the second graph the largest peak shows addition of 25K lines of code, others – about 5K. This data represents the real work of developers more accurately. Let’s view the Code Frequency graph for the kubernetes repository. There are two peaks of activity: addition and deletion of more than 300K lines of code. They represent not actual work, but operations with third party libraries. Huge peaks of additions and deletions caused a large scale of Y axis. Due to this all other activity seems to be non-significant. Let’s exclude from lines of code statistics files from the directory third_party. The graph has become more accurate. Peak values disappeared. The scale of Y axis decreased allowing to get a better understanding of the activity in the repository.